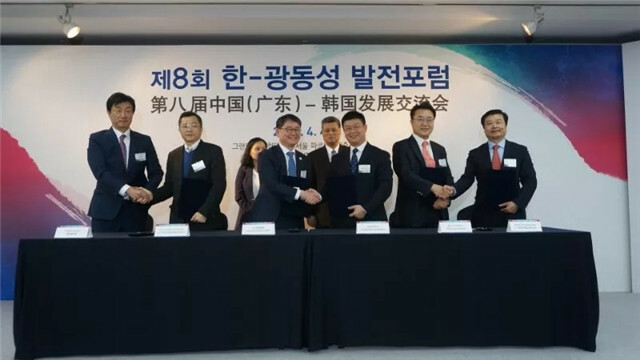 On April 4th, GPHL signed a strategic cooperation agreement with Dong-A Socio Group at the 8th China (Guangdong) - Korea Development Exchange Forum in Seoul. Li Chuyuan at the signing ceremony. 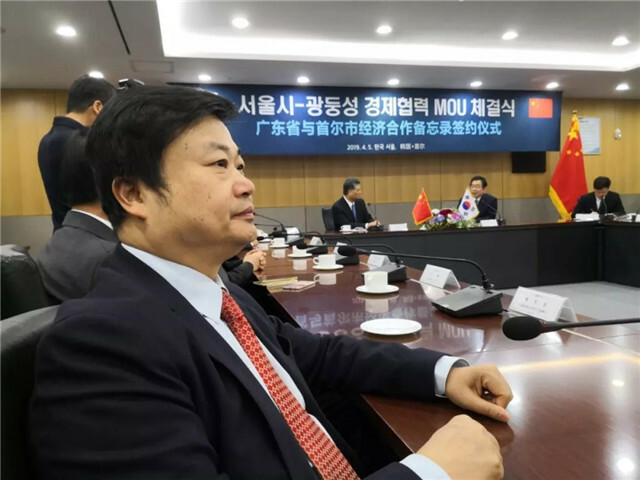 According to the agreement, both enterprises will cooperate in the fields of consumer goods, drugs and medical apparatus, and strengthen exchange regarding the development of the international market and training future talent. Li Chuyuan (L) presents a GPHL Gourd as a gift to the president of Dong-A. 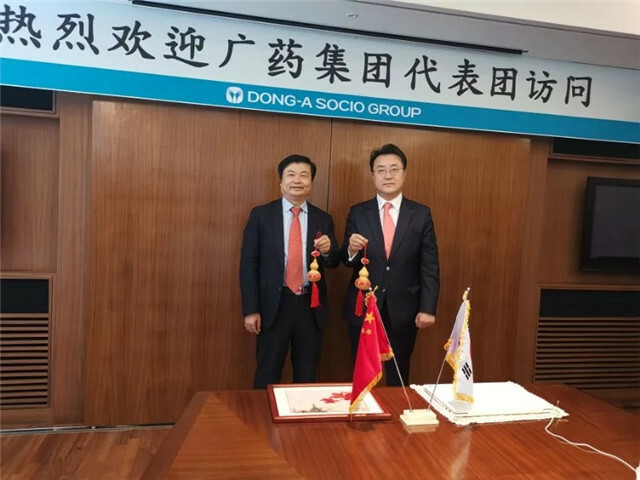 That morning, GPHL’s chairman Li Chuyuan paid a visit to Dong-A and met with the enterprise’s president, aiming to deepen cooperation between two parties. 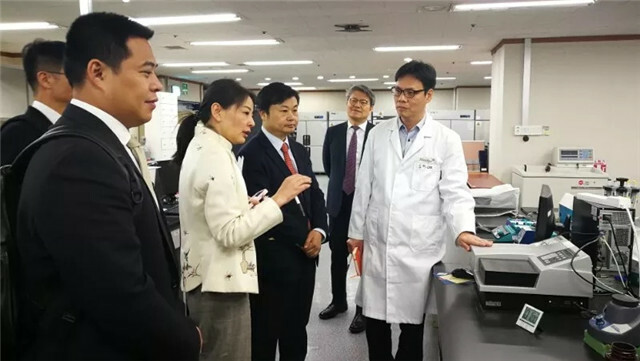 During his tour of Korea, Li Chuyuan also visited Biostar, a renowned stem cell research institute, with the aim of furthering his understanding of biomed development in Korea and look for opportunities to build partnerships. 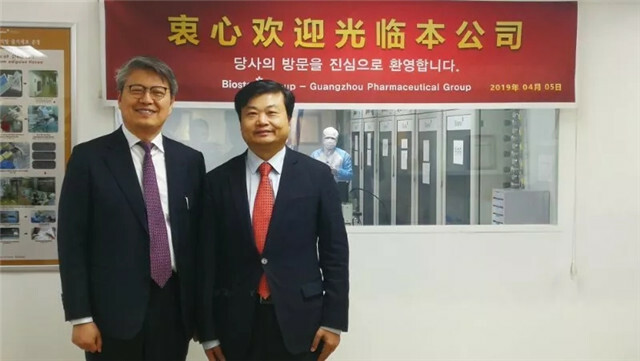 Li Chuyuan (R) visits Biostar. Biomed is one of GPHL’s five special industries. 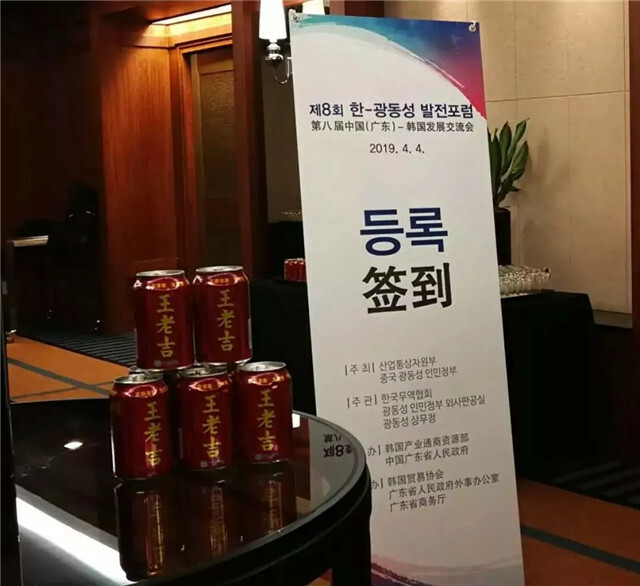 At present, the group is working on new type antineoplastic drugs and vaccines, and focusing on emerging fields like stem cell treatment and regenerative medicine.